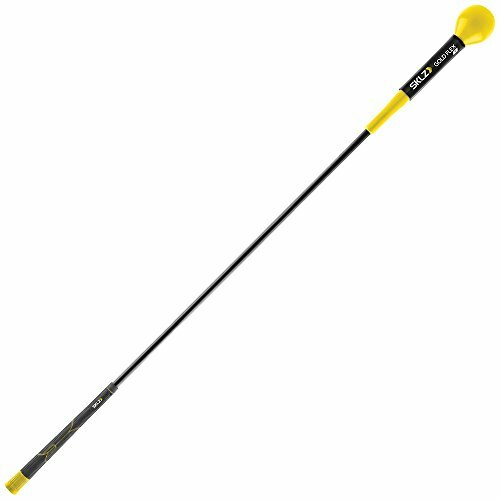 SKLZ Gold Flex Strength Tempo Trainer 48 inches and 40 inches is a weighted golf swing trainer that builds strength and flexibility in your full swing while teaching proper golf swing tempo. 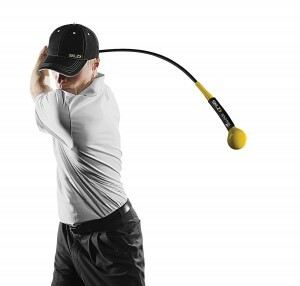 Over time consistent training with the SKLZ Gold Flex will also increase golf club speed improving distance. The SKLZ Gold Flex can be used as an off course daily full swing training aid or as a pre-round stretching aid to increase flexibility and hardwire proper tempo prior to the round. Golfers find thats the more they train with the SKLZ Gold Flex off the golf course, the stronger and more flexible their swing muscles become. The exaggerated flex in the shaft helps lengthen their swing by keeping their hands and arms extended increasing their power. The extra flex also encourages a slight lag at the top of their back swing, establishing the ideal swing tempo. The momentum the weighted head creates encourages proper weight transfer and a full follow through for form, balance and power. The Gold Flex’s training benefits do not require long, grueling hours of practice. Just 10-20 swings every day will improve swing tempo, strength, and flexibility. The key to the training is to simply “swing” the Gold Flex back and forth continually without stopping at impact position, as if swinging to a metronome. The repetition of this continuous swing allows the flex and weight of the Gold Flex to build added range of motion and strength to your shoulders and core, while grooving a proper tempo into your full swing. Enhanced strength, flexibility and tempo will improve your golf swing while adding consistency and distance to your driver, woods, hybrids and irons. In addition to the flexibility, strength and tempo training, the SKLZ Gold Flex is a great golf swing trainer for pre-round, low-impact stretching and warm-up. The aid will easily fit in a golf bag and is legal to carry on the course (although golfers would not be allowed to use it once the round begins). The SKLZ Golf Flex weighs 2 pounds and comes in two lengths: 48” for individuals 5’4” or taller; and 40” for individuals who are less than 5’4” in height. The swing trainer weighs 2 pounds and has a durable polyurethane head and a flexible fiberglass shaft for frequent use. Great post and a great looking site. This sounds like just the weapon I’m after to get a few yards on my drive. 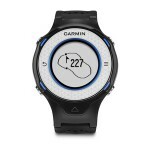 Just a couple of questions. When swinging with the tempo trainer are you just meant to go through the movements or are you trying to replicate a drive as accurately as possible. Also is there a minimum age for kids to use them or is it just a matter of when they’re big enough? The magic of the SKLZ Gold Flex is that the weight and flex of the swing aid will naturally flatten your swing, add lag and help you achieve better tempo. So, just swing in a continuous metronome motion. You don’t need to force it by trying to replicate the perfect drive. Swing fluidly in rhythm and balance. In terms of kids, the two models are based on height so the 40″ is for golfers shorter than 5′ 4″ and the 48″ is for golfers taller than 5′ 4″. We would suggest that you wait for your children to be more physically mature before using the Gold Flex. As a rule of thumb you should wait until they are at least 100 lbs in weight. I wonder if this would help prevent my horrible slice when using my driver. Even after working on a golf course for 3 years I still have so much trouble. It should help. So much of fixing a slice is about returning the club face square to the ball. A synchronized swing with good tempo does a lot to help ensure proper ball impact. The SKLZ Gold Flex Strength Tempo Trainer really helps to hardwire both of these factors. You should definitely give it a try and then leave us a comment letting us know how it works out!